The dense fruit flavors of black plum and blackberry emerge in the flavors. Nutmeg and other brown spices give it an exotic touch. The acid and balance of this wine promise a long life. It is best paired with red meat and game dishes. 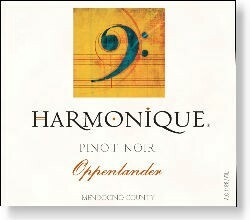 100% from the 30+ year old Oppenlander Vineyard, located in Comptche, north of Anderson Valley near the coast.